The Russian press is now reporting that the Russian Defense Ministry intends to turn the Crimean peninsula into an impregnable fortress. It will be not only a military outpost of Russia in the Black Sea region, but also be able to defend themselves, even when cut off from the mainland. Russia is now deploying a complete and self-sufficient military force in the Crimea. Russia is also recalling all its students in the West. They are being told to get out even if their classes are not complete. The Ukrainian press is also reporting that Russia is preparing for a major war. They say the only question is the timing – when it starts. At home, Russia is reconstructing and preparing bomb shelters for the possible nuclear war. This, I suppose, is why Obama was given the Noble Peace Prize not to create peace, but to kill it once and for all. 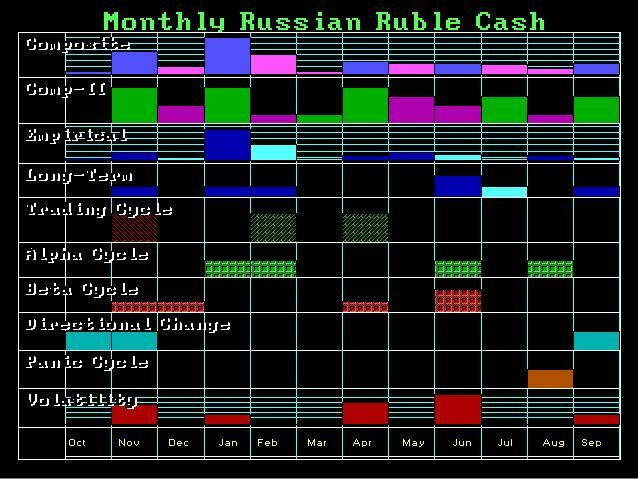 Our models on time are showing up with the same targets of November and January in the Ruble itself. This is curious as our models in so many markets are correlating to these time periods suggesting we are dealing with global contagion effect. We will obviously begin to pay closer attention to our war models as we move into position. 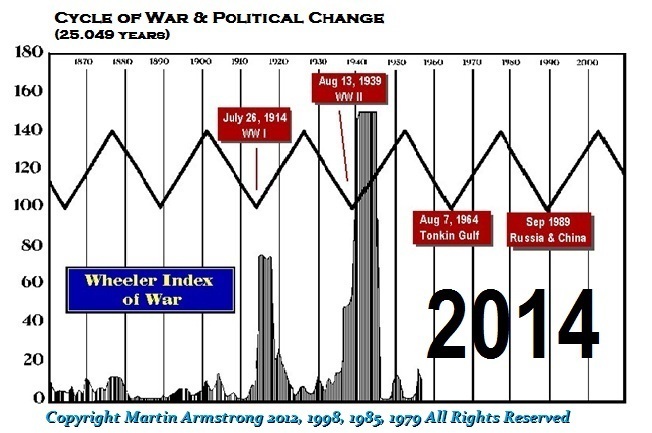 Capital Flows pick up the changes in movement that appear in advance of war. 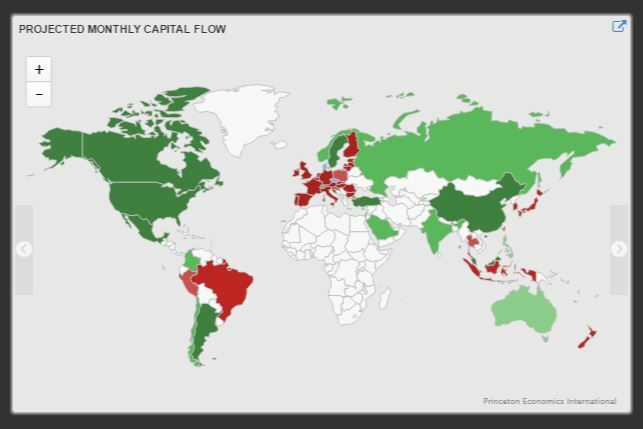 Our proprietary models are critical in this regard for they are the only thing out there that monitors the global capital flows. This is obviously going to be very important. 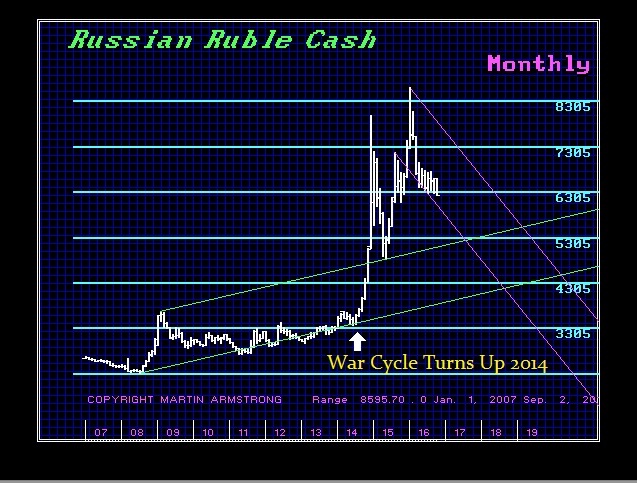 Right now, we have been tracking capital being withdrawn from South America and Europe moving back into Russia. Capital is on the move in accordance with the rise in tensions geo-politically. Even in Asia, we are witnessing a contraction in capital moving back into China from South East Asia as well as Japan. Curiously enough, even from New Zealand, although it appears to be moderate at this time. We have even seen capital withdrawing marginally from Switzerland, and more aggressively from Britain. We will continue to monitor these trends for they are disconcerting to say the least.